The north is best for culture and highly diverse scenery, but much depends when you plan to visit. It can be quite cold in the north between mid-December and mid-March, although temperatures vary widely from year to year. Conversely it's usually extremely hot and humid during the height of the summer. 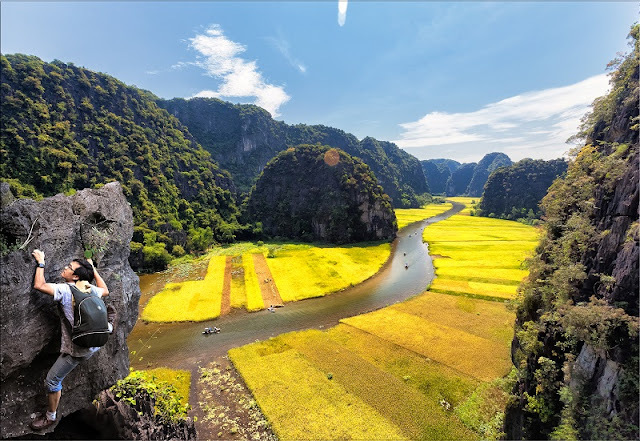 This is also one of the outstanding beauty of North Vietnam, creating the unique values of this land. Unfortunately one week is really too short to go to all the highlight places of the north. Although Ninh Binh is definitely worth visiting, which has similar karst formations but set among rice paddies rather than sea water. I think you will have to save it for another trip. Halong Bay over two nights is so much nicer than just one night. The additional full day on the bay gives you a chance to see more remote and beautiful parts of the bay as well as activities like kayaking through lagoons, visiting caves, Money island, etc. With that in mind, below is my suggestion for maximizing your time while not making it so fly by night than you miss the beauty and charm of the north. 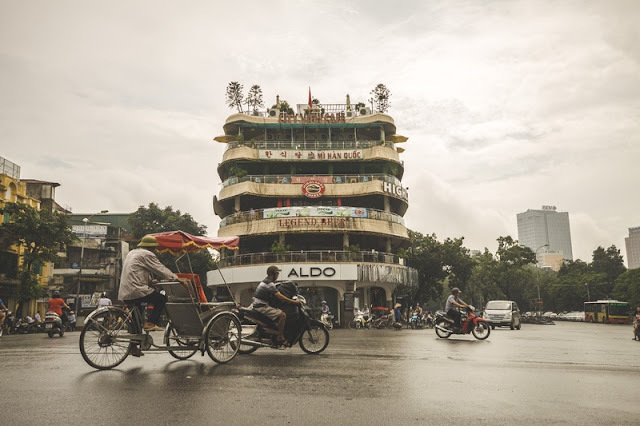 Hanoi, the Vietnamese capital, although not as large as its Southern rival is still pretty big with a population of 6.5 million. Hanoi feels more Vietnamese, more authentic and the locals seem to be living a more traditional way of life compared to those in Ho Chi Minh. With its abundance of French colonial architecture, the city is often referred to as the Paris of the Orient. We enjoyed wandering the old quarter, visiting the endless little shops and coffee houses. Some of the streets are narrower and maze-like so hours can be spent meandering the pavement in search for your next noodle soup hit. Hanoi does have it’s fair share of traffic and noise but it’s not as fast and furious as Ho Chi Minh. And even if it’s still too much for your liking Hanoi has plenty of green spaces to get away from it all. 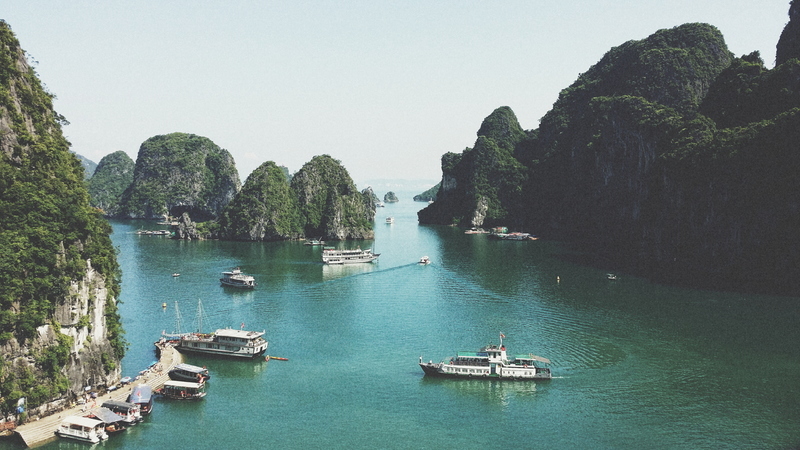 Hanoi is a city of leafy boulevards, peaceful parks and calm lakes. Hoan Kiem Lake is based in the historical centre and is a popular place for walks, picnics and morning t’ai chi classes on the shore. The lake also surrounds Ngoc Son Temple, isolated on an island which can be visited by tourists. Hanoi also has plenty of museums and sights to satisfy history buffs. The most popular is the monumental, marble structure of Ho Chi Minh’s Mausoleum. So many visitors go to see the frail, pale body of Ho Chi Minh that at times ques snake for 100s of meters! We also enjoyed the excellent Vietnamese Women’s Museum which showcases women’s role in Vietnamese society and culture. 380 km from Hanoi, Sapa is a beautiful, remote, mountainous town close to the border with China. 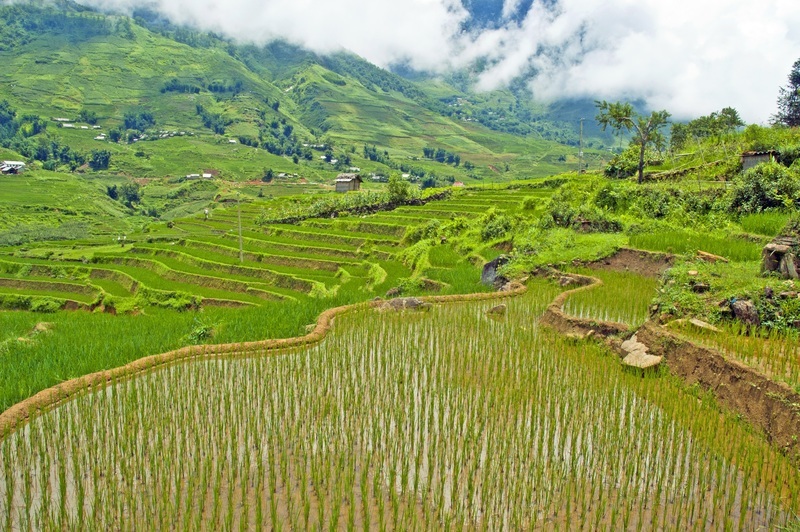 Most visitors reach Sapa by an overnight train from Hanoi which is a great experience in itself. Sleeper trains are much safer and more comfortable than taking the other option of a sleeper bus. Sapa, overlooking wonderful rice fields is a popular destination for trekkers as the Muong Hoa Valley offers plenty of walking trails and the option to climb the nearby 3143m tall Fan Si Pan Peak. Although still home to local hill tribes, Sapa has seen a lot of tourism in recent years so it’s not unusual to see local women chasing tourists down the street in pursuit of a brightly coloured clothing sale. It’s worth visiting some of the neighbouring villages where tourism has not had such a negative impact. Some of these villages can be reached on foot so it’s a great excuse to head out and discover more of the stunning mountain scenery.